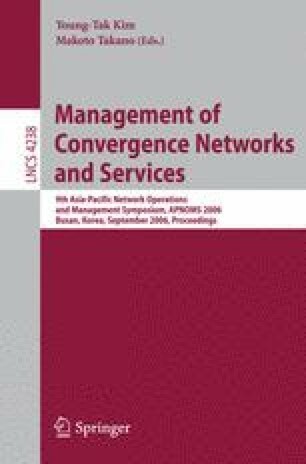 Recently, researchers have explored to provide a queue management scheme with differentiated loss guarantees for the future Internet. The Bounded Random Drop (BRD), known as the best existing scheme, is one of such efforts which guarantees strong loss differentiation to the level of traffic in the different service classes. Even though BRD has several benefits such as low complexities and good functionalities, we identify that it has some shortcomings such as low throughput, long queuing delays, and selection problem of optimal values of parameters. Specifically, the shortcomings stem from calculating drop probabilities based on the arrival rate estimation and dropping incoming packets randomly with calculated drop probabilities without considering the current buffer occupancy. A multiple queue management scheme based on differential drop probability, called MQDDP, is proposed to overcome BRD’s shortcomings as well as support absolute loss differentiation. This scheme extends the original Random Early Detection (RED), recommended by IETF for next generation Internet gateways, into multiple class-based queues by deriving the drop probability equations based on a queueing model. We also compare MQDDP to BRD for high traffic intensity and show that MQDDP has the better performance in terms of packet drop rate. This research was supported by the Ministry of Information and Communication, Korea under the Information Technology Research Center support program supervised by the Institute of Information Technology Assessment, IITA-2005-(C1090-0501-0019).